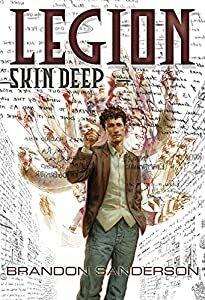 I’ve finally finished going through all the available Amazon previews from SFSignal’s monthly round-up from November 2014, and I found quite a few things to admire. But I’m going to try to be brief, because it’s almost Christmas! 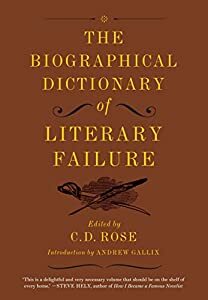 C. D. Rose, The Biographical Dictionary of Literary Failure. Imaginary authors, humorously described. Reminds me of Stanislaw Lem’s Imaginary Magnitude (prefaces to imaginary books) and Segal & Mager (eds. ), The Official Catalog of the Library of Potential Literature (blurbs/reviews of imaginary books). Jennifer Brozek, Robert Smith?, and Lars Pearson (eds. ), Chicks Dig Gaming: A Celebration of All Things Gaming by the Women Who Love It. The latest in a popular series, frequently nominated for the related work Hugo award. 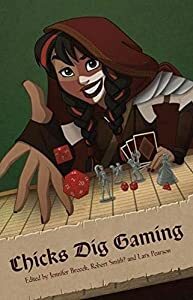 This seems pretty great: numerous authors I like telling personal stories about their experiences with a hobby I also enjoy. Brandon Sanderson, Legion: Skin Deep. I read the novella Legion some time ago, perhaps as part of a Hugo packet, and I thought the idea of a Holmesian consulting detective who sees imaginary people and listens to them to understand his own thoughts was maybe an idea that trivializes mental health issues, but it works well enough on a story-telling level as just a way to externalize the main character’s deeply embedded hunches. Anyway, it seemed reasonably fun in the preview of this second installment. 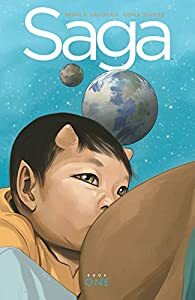 Brian K. Vaughan and Fiona Staples, Saga (Deluxe Edition HC, v. 1). A hardback collection of the hit space fantasy comic book series, which has won a Hugo and several Eisners. The preview at least shows off some of the weird imagery and the key development setting the story in motion. Gavin Deas (a.k.a. 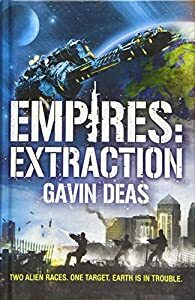 Gavin Smith and Stephen Deas), Empires: Infiltration and Empires: Extraction. 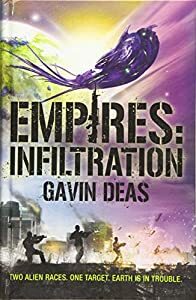 Two British SF/fantasy authors team up here to write a linked duology, telling the story of Earth’s invasion by aliens from different points of view. I liked the preview for Gavin Smith’s contribution quite a bit more than the other preview, but I’ve enjoyed Stephen Deas’s work in the past. 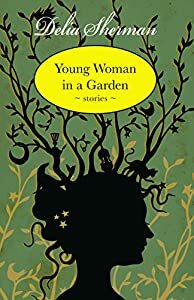 Delia Sherman, Young Woman in a Garden: Stories. In the preview story, Sherman writes a tiny bit of fantasy into the margins of art history, inventing a lesser-known French painter and poking around in a little museum devoted to his work for details about what inspired his paintings. At least one of the stories in this volume, “The Ghost of Cwmlech Manor,” is available in full online, but I don’t know about the others. Nick Mamatas, The Nickronomicon. 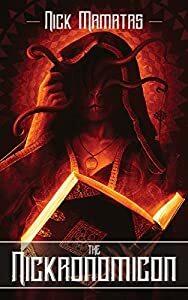 Mamatas typically writes Lovecraftian short stories with a contemporary aspect to them. The ones in the preview (as well as the one I’d read previously) are clever, though not as ornate or as cosmically weird as HPL’s own work. Peter V. Brett, Messenger’s Legacy. 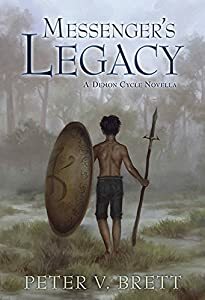 Some reviews complain that this fantasy novella is too expensive, but I appreciated its preview as a small taste of Brett’s Demon Cycle, which I’ve heard people praise very highly. The story’s beginning was straightforward, but the prompt introduction of a creepy/dangerous monster lurking right outside the main character’s house seemed to speak volumes about what the series might be like. Frank Herbert, The Collected Stories of Frank Herbert. Who knew Frank Herbert wrote so many short stories? I’ve read at least six of his novels, but I had no idea, maybe because I read them all as a teenager and then stopped investigating his oeuvre. The preview suggests many of these could have a strong 50s feel to them, but I’m OK with that. 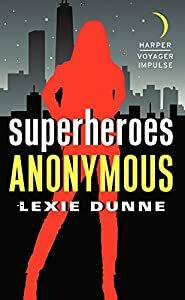 Lexie Dunne, Superheroes Anonymous. I’m loving the superhero novel trend, and this one seems pretty fun. It’s a tongue-in-cheek story of a sort of Lois Lane-like character, under constant threat from supervillains, who acquires superpowers of her own. Anonymous? [Malcolm C. Lyons (trans. )], Tales of the Marvellous and News of the Strange. It’s rare that I’ll choose to highlight a book for which the preview contains no sample matter from the main part of the text, but reading the introduction alone, I’m very intrigued by this new translation of a collection of Arabic folktales and legends that I’d never heard of. 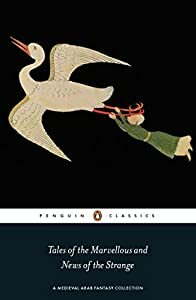 I’ve read the Signet Classics edition of the Thousand and One Nights, and I’m dimly aware of story collections like Hamadhani’s Maqamat and The Assemblies of Al Hariri, but this one was completely new to me. These articles make it sound like a blast, so I’m in. 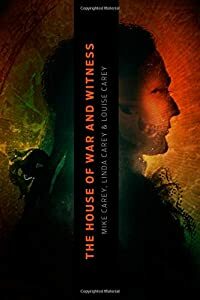 Mike Carey, Linda Carey, and Louise Carey, The House of War and Witness. I’ve read some of Mike Carey’s work before and thought well of it, and I liked the premise of this book: an 18th C. military force holes up at a ghost-ridden estate on the Prussian border, and various mysteries unfold. The preview shows it to be very readable too, though like any ghost story it seems to be building up carefully. Robin LaFevers, Mortal Heart. 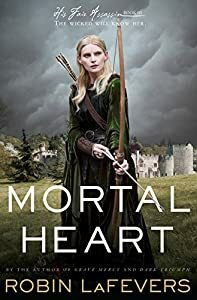 In 15th C. Brittany, young women join a convent where they’re trained to be assassins in the service of Saint Mortain, a god of death in a pantheon called The Nine. Well, why the heck not? Assassin fantasy is a very crowded subgenre, but this YA series aiming to add in a little romance and put a gender-balanced spin on the general idea seems pretty neat. 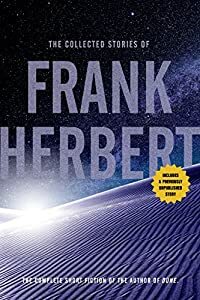 So far as I could see them, I was OK with the alternate history elements just being sort of dropped into the world, and the writing seemed smooth. This is the third book in the series, though, so I’ll have to go back and try Grave Mercy first.